Jeff Glucker October 5, 2018 Comment Now! Some boutique supercar companies make a name for themselves but fizzle out after a few years. A handful of those come back only to suffer the same fate once again. 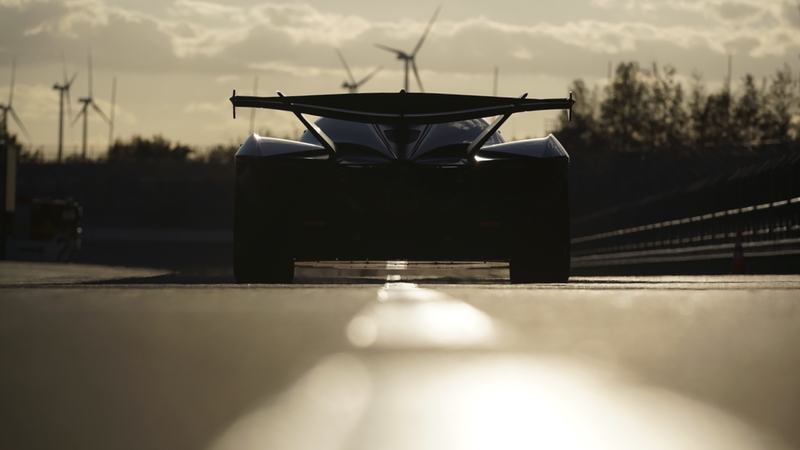 Apollo is a company reborn after the death of former carmaker Gumpert. With the Intensa Emozione hypercar, it appears the company might just have some staying power. The company is building 10 cars, and an Apollo spokesman confirmed to Motor Authority that all 10 build slots have been sold and there's a wait list. Apollo is looking to go racing as well. To that end, the automaker is offering race-spec cars among that run of ten. Apollo isn't saying how many are for the street and how many are track-only. Regardless, both versions are mad machines built with a clear focus on pure performance. The Apollo spokesman stressed to Motor Authority that IE is over engineered in every way. For instance, the front splitter on the race version is built to sustain nearly 3,000 pounds of net downforce. That's why a team member can stand on it in the photo above and no one is screaming at him to get the hell off the car. 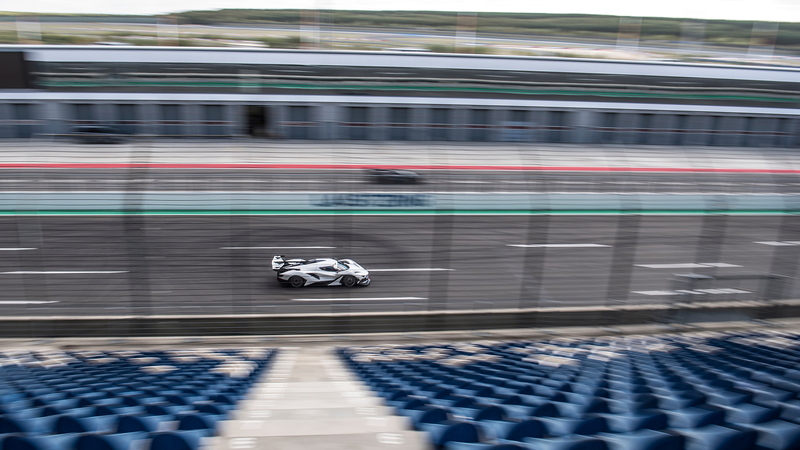 The downforce capabilities are just part of a wonderfully insane hypercar. More insanity lies within the engine. Apollo claims that the V-12 in the IE is capable of producing more than 1,000 horsepower and could rev to more than 11,000 rpm. Such a build would require a quite a bit more cash from the customer and would raise the compression ratio to 16.5:1. The standard output of the naturally aspirated 6.3-liter V-12 is a more "mild" 780 hp and 560 lb-ft of torque. Testing and development of the road and race versions of the IE continue. Apollo is receiving assistance from German skunkworks firm HWA, which has run a number of racing programs for Mercedes-Benz. HWA campaigned the famed CLK GTR GT1 racer, which served as a bit of inspiration for Apollo's own supercar project. As it stands, Apollo is in good shape to get off the ground with the IE. A waiting list is being compiled from handraisers hoping that another batch will be produced. We suspect that Apollo wants to hit the motorsport world in a big way. At this time, the automaker won't disclose whether it's looking to produce its own factory-supported racing program, saying only that it can't disclose such information at this time. 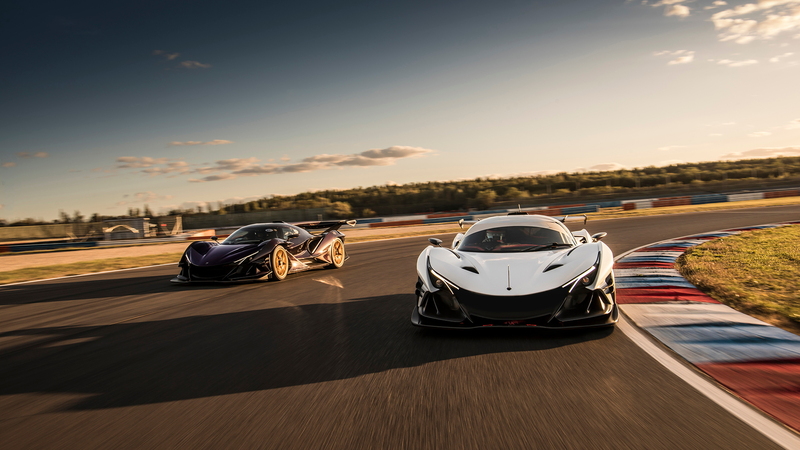 However, any true supercar creator needs to prove it can compete at the highest levels, both for visibility to its potential customers and to prove its own engineering prowess. Apollo will begin deliveries of the Intensa Emozione some time in 2019.